Politicians, actors, directors, architects, athletes, everyone is tweeting about the elections in USA. 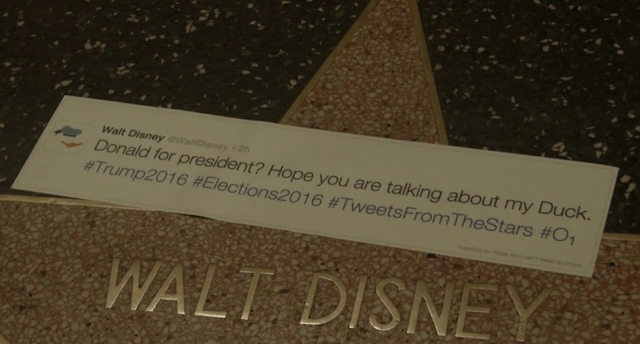 With #TweetsFromTheStars they will tweet for those who can no longer do so. “O1” (a creative Latin collective based in Venice Beach, California) created the Tweet From The Stars campaign which they've dubbed a Hollywood Blvd. Intervention. 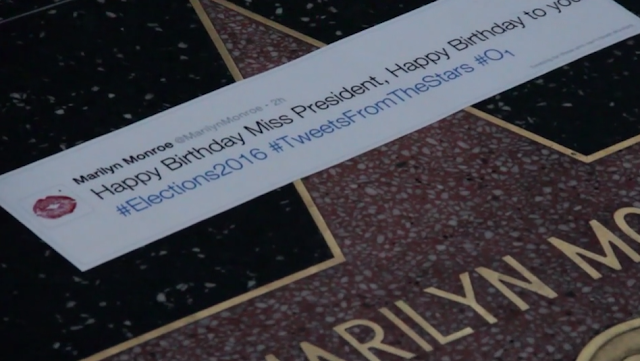 The crew took to the streets and placed tweets over the actual stars on the Walk of Fame in Hollywood for those who are no longer with us including Robin Williams, Alfred Hitchcock, Frank Sinatra, Michael Jackson and even Godzilla weighed in on the US Elections. 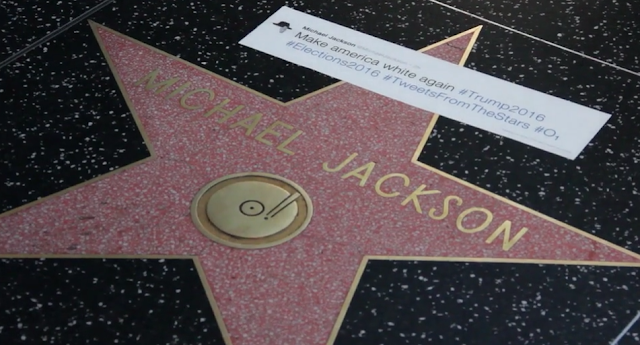 In the end the video encourages viewers to vote, and that's a good thing. Advertising Agency: O1 (Venice Beach CA).